Ingenico Group (Euronext: FR0000125346 - ING), global leader in seamless payment, today proudly announces the official launch of its new brand: Ingenico ePayments. Ingenico Group's online and mobile commerce division combines the former Ogone and GlobalCollect organizations, merging capabilities and offerings, and providing merchants around the world with enhanced end-to-end products and services. The launch of the Ingenico ePayments brand now completes the integration process and enhances the Group's position within the ePayments industry. Philippe Lazare, Chairman and CEO of Ingenico Group, has stated: "I am so pleased to announce the official launch of our new brand, Ingenico ePayments. This brand will undoubtedly solidify our position within the eCommerce industry, taking us a step further towards becoming an omni-channel player and bringing added benefits to our merchants." Working closely with clients and partners, Ingenico ePayments enables over 150 different payment methods in more than 170 countries. It offers merchants advanced data analytics through its business intelligence tool Elevate, as well as fraud management solutions and cross-border commerce expertise. Ingenico ePayments also provides advanced integration and mobile-optimized checkout solutions through Ingenico Connect, making it easier for merchants to offer payment options on more devices. These value-added services and innovative technologies allow merchants to optimize their business and grow into cross-channels and new markets. "Ingenico ePayments is truly a world leader, with a strong global presence and ability to deliver customer-centric solutions that help our merchants expand their businesses online," said Pierre-Antoine Vacheron, Executive Vice President of Ingenico ePayments. "The Ingenico ePayments brand is a recognition of our success in creating a world class payments service provider, and underlines our ambition to further grow and lead this market." 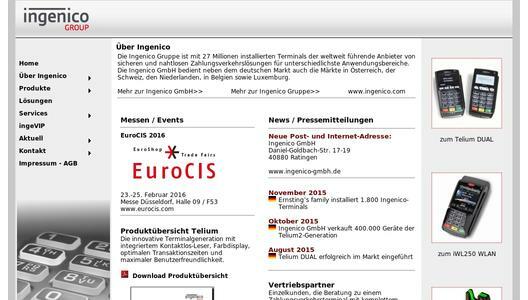 Ingenico ePayments is the online and mobile commerce division of Ingenico Group. We connect merchants and consumers, enabling businesses everywhere to go further beyond today's boundaries and creating the future of global commerce. As industry leaders since 1994, our innovative spirit drives us forward across all channels. We are the trusted partner of over 65,000 small and large merchants who rely on us to make payments easy and secure for their customers. With advanced data analytics, fraud management solutions and cross-border commerce expertise, we help merchants optimize their business and grow into new markets around the world. 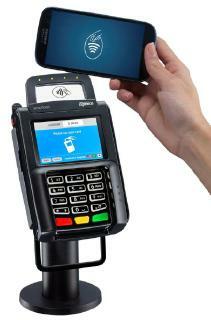 For more information, visit www.ingenico.com/epayments or follow us on Twitter or LinkedIn.